Great sadness is not having the freedom to expand our thoughts. FREEDOM, even the free can never be FREE to feel high and fly freely. 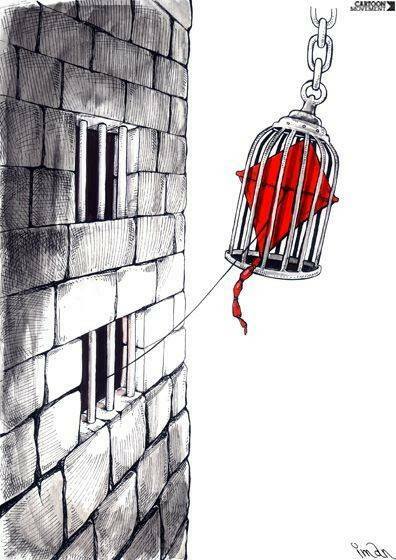 Unlock the the cage so you can fly freely away from the prison you have put yourself in. Hold onto hope of any kind. Beyond every metal bar you can see! Real captivity is when your thoughts are caged! Life is meant to be free. But to be set free.